These super soft and robust kitchen towels are extra absorbent and made from 100% bamboo which is naturally anti bacterial, anti fungal, hypo allergenic and skin friendly. 100% FSC certified this kitchen towel is sustainable and highly renewable, so is good for you and the planet. 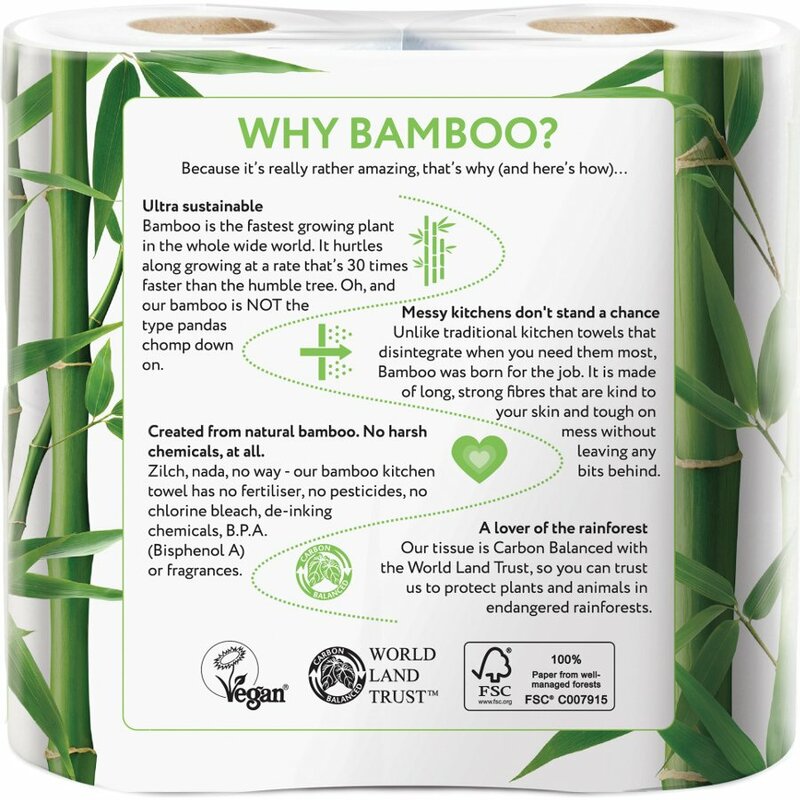 This bamboo kitchen towel is also B.P.A free, formaldehyde free, chlorine free, fragrance free with no de-inking agents as well as biodegradable. With every sale from these co friendly pocket tissues Cheeky Panda donate part of every purchase to The Worldland Trust which protects plant and animals in endangered rainforests and all of their products are packaged in recyclable packaging. 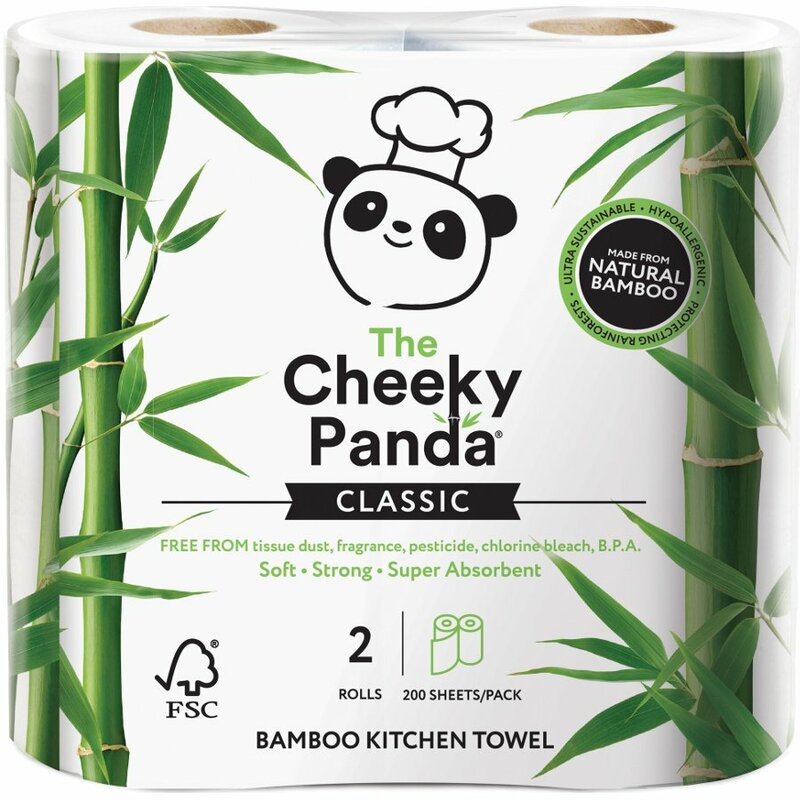 There are currently no questions to display about The Cheeky Panda FSC 100% Bamboo Kitchen Towel - Pack of 2.